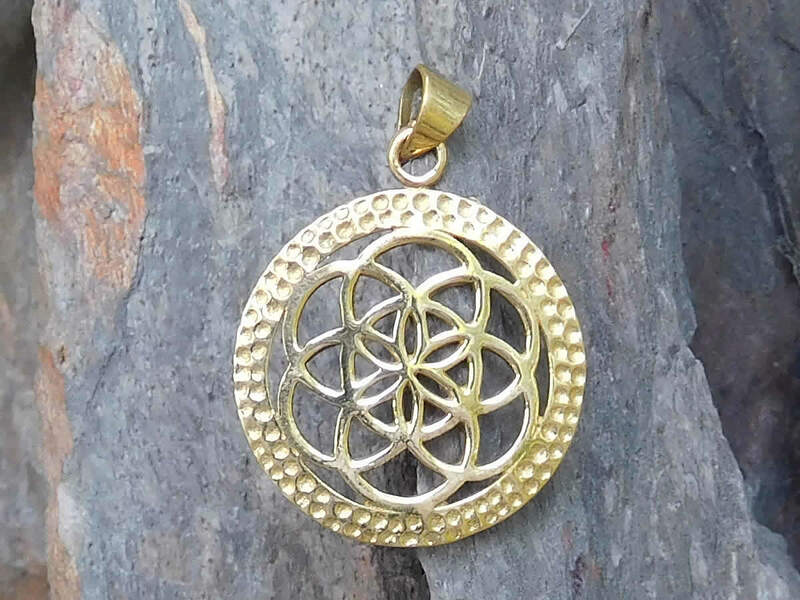 The seed of life design has ancient origins with earliest examples dating back to 10,000 BC. Its sacred geometry of 7 interlocking circles of equal size is found in most religions across all continents, symbolising the 7 chakras of yogic tradition, the 7 tones in a musical scale, the 7 colours of a rainbow, the 7 days of creation. This hand-crafted piece of jewellery is cast in solid nickel-free brass.